Biosphere develops a private voluntary and independent certification system, based on the principles of sustainability and continuous improvement. Through the fulfillment of a series of requirements, it offers the opportunity to entities in the sector to design products and services with a new model of non-aggressive tourism, satisfying the current needs of customers and users, without compromising future generations. This certification guarantees an adequate long-term balance between the economic, socio-cultural and environmental dimensions of a destination, reporting significant benefits for the entity itself, society and the environment. Specific certifications for each type of entity: sustainability applied to your business. Choose the certification that best suits your activity. Certification of sustainability for local tourist management entities of a Destination. Sustainability certification for hotel accommodations and apartment hotels. Sustainability certification for camping type housing entities. Sustainability certification for accommodation entities on a vacation rental basis. Convention and congress halls, auditoriums, and fair and convention centers. Sustainability Certification tour operators, travel agencies and tourism offices. Catering entities with category of restaurant, bar cafeteria or other of the catering sector. Sustainability certification for summits, festivals and congresses. Increase efficiency by reducing environmental impact and costs and, improving profitability in the medium and long-term. Consumers increasingly demand new non-aggressive tourist models. Position your entity as a sustainable business and communicate your commitment with the Biosphere seal. As a member of Biosphere, you will receive tools and support to manage an online certification, with personalized attention and a compilation of a history of reports, recommendations, and evaluations. 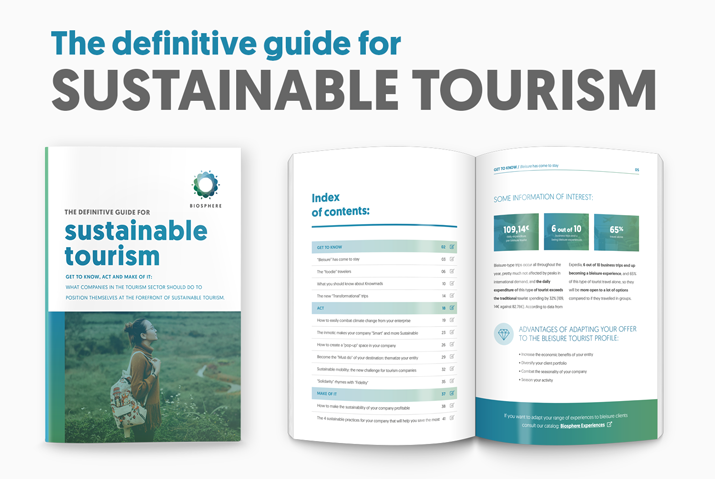 Development of tourism strategies and policies that guarantee a sustainable tourism model according to the 17 Sustainable Development Goals of the United Nations. To promote the Biosphere Commitment; the certification is developed in standards or manuals of good practices based on the 17 Sustainable Development Goals (SDGs) of the UN's 2030 Agenda. These objectives were created following the guidelines and recommendations of the World Charter for Sustainable Tourism +20, emanated from the International Summit on Sustainable Tourism, an event sponsored by COP21, UNESCO, UNWTO, and UNEP. 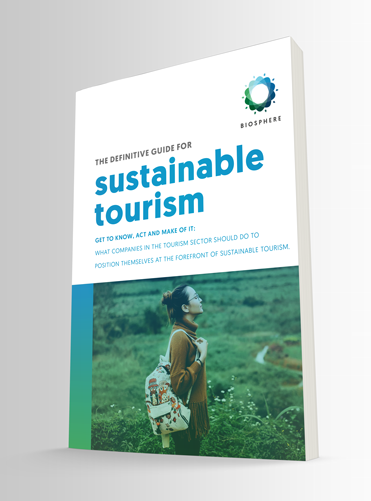 The Responsible Tourism Institute (RTI) is an international organization that promotes, for more than 20 years, responsible tourism at an international level. The RTI was born with the support of UNESCO through a Memorandum of Understanding that has allowed throughout the years the collaboration between both organizations, promoting sustainable tourism through the Biosphere brand.